What are the underlying relations of intellectual property, physical property and capitalism from a materialist standpoint? How can the dynamics of capitalism be explained by the concepts of regulation, expropriation and exploitation? Whilst exploitation through reproduction is a key element in digital media industries, this kind of exploitation is nothing new. It was also instrumental in shaping society’s economic processes during the Industrial Revolution and the era of Taylorism, in the development of the US publishing industry, through to Microsoft and today’s YouTube. 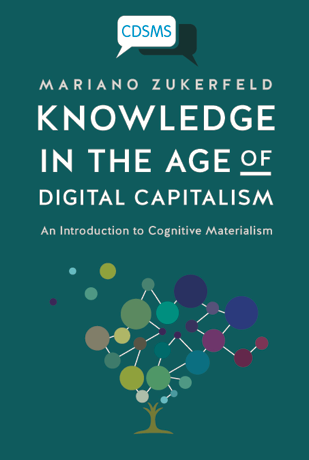 Drawing upon insights from his new book Knowledge in the Age of Digital Capitalism: An Introduction to Cognitive Materialism, Mariano Zukerfeld will discuss how the creative industries took off, how they were propelled by unremunerated knowledge, and how they continue to be so today. Conclusions are offered for discussion in respect to alternative approaches. The aim is to foster a fresh understanding of capitalist exploitation and of how the processes surrounding knowledge might inform future thought. Knowledge in the Age of Digital Capitalism: An Introduction to Cognitive Materialism is available from the University of Westminster Press from 26 May 2017. The book is part of series “Critical Digital and Social Media Studies”, edited by Christian Fuchs (WIAS). Dr Mariano Zukerfeld is a researcher at the National Scientific and Technical Research Council (CONICET), Buenos Aires, Argentina. Whilst based at Westminster Institute for Advanced Studies (WIAS) 3 April 2017 – 31 May 2017, Mariano is working on a project focusing on the exploitation of online teachers in informational capitalism.